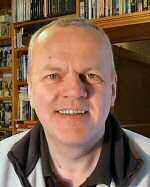 This is the personal blog of Steve Myers (no relation to Isabel Briggs Myers) who is now an independent researcher and writer. He has used psychological type in his career – both as a team and leadership consultant and researcher – for nearly a quarter of a century. He holds a Master’s degree in Jungian and Post-Jungian Studies, was the first winner of the David Holt Prize, and is currently pursuing Ph.D. research into mythology and Christianity, based on analytical psychology. He is co-author of the Type Mapping System with Roy Childs. C.G. Jung is one of the forefathers of modern psychology, having introduced many terms that are now in common usage – such as extravert and introvert. His work is most widely known through the use of the Myers-Briggs Type Indicator, created by Isabel Briggs Myers (no relation to Steve Myers). However, his theories are much more broad-ranging than this one instrument, and integrate psychology with science, religion, mythology, philosophy, and the arts. His insights can help us develop at many levels – as individuals, societies, or a civilisation. His theories also have important implications for the resolution of conflict, whether it be workers in the same office or international conflicts between nations or religions. Myers-Briggs Typology vs Jungian Individuation: Overcoming One-Sidedness in Self and Society. Abingdon: Routledge, 2019 (use code FLR40 at Routledge website for a 20% discount). Myers Briggs typology and Jungian individuation, Journal of Analytical Psychology, Vol 61(3), 289-308 (Wiley-Blackwell, 2016). The Five Functions of Psychological Type, Journal of Analytical Psychology, Vol 61(2), 183-202 (Wiley-Blackwell, 2016). Review of the Second Edition of Myth: A Very Short Introduction, International Journal of Jungian Studies. Ambiversion and Individuation, Personality Type in Depth (Online journal ISSN 2159-8096, Jan 2016). Can Psychological Type be a Barrier to Individuation?, TypeFace Vol. 25(4), 14-18 (British Association of Psychological Type, 2014). See also the related article: Discussing the Fifth of Transcendent Function: Peter Geyer’s Response, TypeFace Vol 26(4), 12-14 (BAPT, 2014). Normality in Analytical Psychology, Journal of Behavioural Sciences Vol 3(4), 647-661 (Online journal ISSN 2076-328X, 2013). Psychological vs. visionary sources of myth in film, International Journal of Jungian Studies Vol 4(2), 150-161 (Taylor and Francis, 2012). 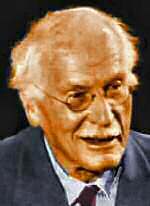 Did Jung have adequate reason to say ‘I know’, unpublished Masters dissertation (University of Essex, 2009). Influencing People using Myers Briggs, (Team Technology: 1995).